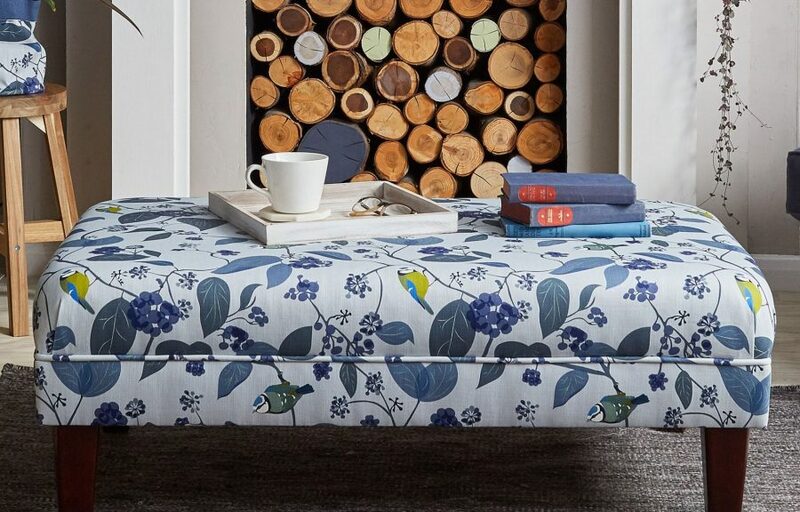 Please be aware that all our footstool are handmade and are made to order. Typical delivery times are between 3 – 4 weeks from the date of order. 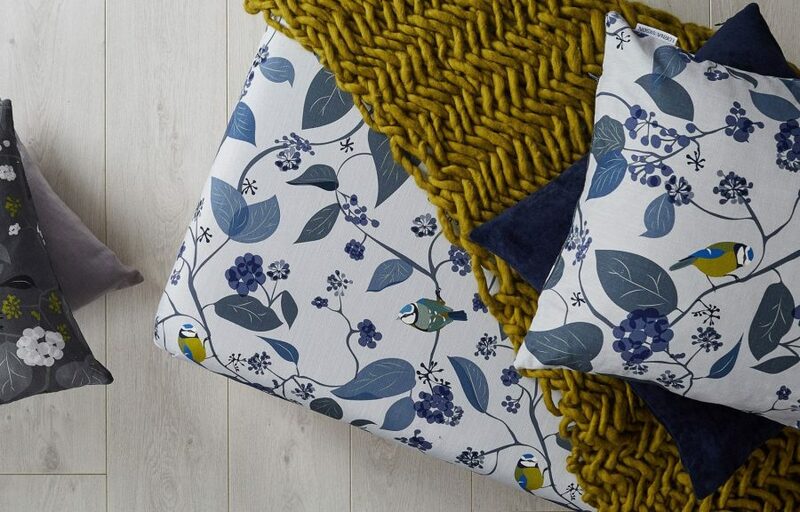 Available in all of our fabrics. Bespoke sizes can be made, please contact to let us know. 100cm long x 75cm deep and 35cm high. 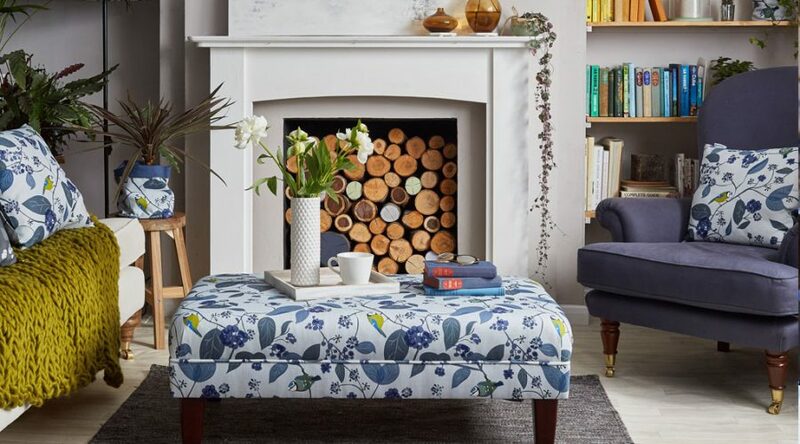 This handmade footstool is upholstered on a solid wooden box, using layers of foam, calico and wadding before being covered in our Spring Ivy Blue fabric. 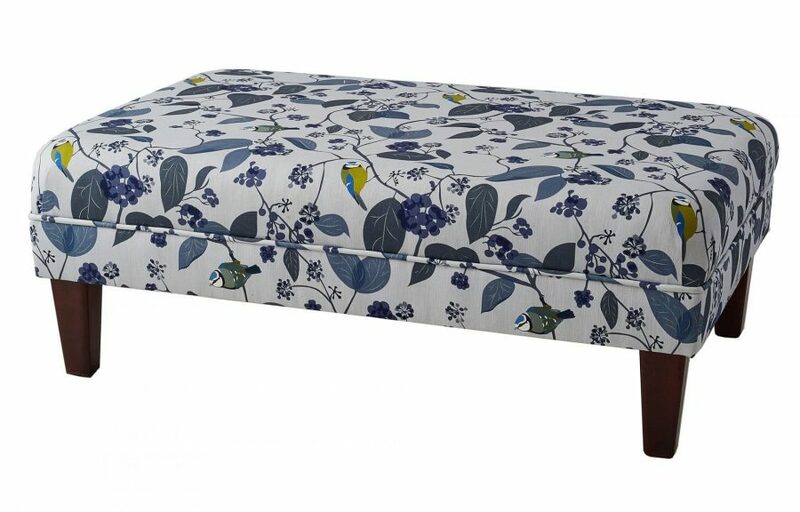 It is finished a hand stitched base and straight mahogany legs. 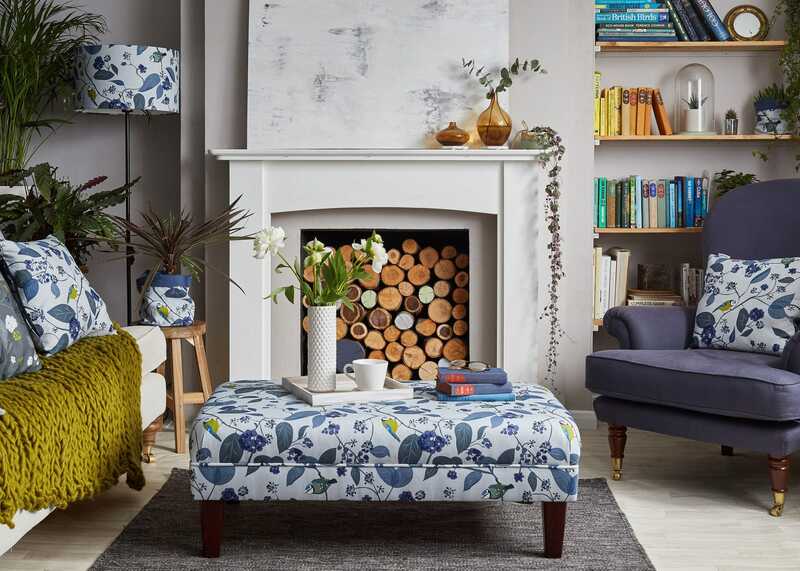 This design is also available in lampshades, wallpaper, plant pots, fabric by the metre and make up bags.